Buying real estate in the United States takes 30–45 days. The process itself consists of several stages. 1. Providing a document confirming the funds. The buyer provides the agent with a Proof of Funds. The amount in this document should cover the value of the property. If the “Proof of Funds” is not provided, the credibility of such a buyer will fall sharply. 2. Search for real estate. The buyer discusses all the details with his agent, and he begins to look for real estate under the client’s request: determines the area, delves into the general trends of the market and its prospects, and also clarifies the issues of taxation, transport, infrastructure, parks, recreation areas and others. The buyer and the agent choose the object and agree on a price. 3. Offer to purchase. When the object is already selected, the buyer makes the seller an offer to purchase (offer) either orally or in writing – in the form of a standard document. 4. Making a security deposit. When the offer is accepted, the seller’s agent opens an escrow account (a third party account to hold funds of one of the parties). In California, the buyer transfers a deposit of 3% of the price of the object to this account within three days after accepting the purchase offer, in New York – at a rate of 10–20% within 5–10 days. Making a deposit guarantees the mutual responsibility of the parties to the transaction. It is necessary to stipulate in advance the conditions under which the buyer can withdraw from the transaction and return the deposit. 5. Getting a loan from a bank (if required). The bank orders the evaluation of the object from companies specializing in this. The borrower provides all the necessary documents and obtains the consent of the bank. If a flat is bought, the bank requires information on the financial viability of the apartment building, the amount of insurance coverage and possible lawsuits directed against the owners. The lender may require re-measure the site, which is true, both for private and for apartment buildings. 6. Verification of legal purity. A similar procedure (Title Search) is carried out by special companies (Title Company) by order of the buyer’s lawyer. If the search revealed arrests, bans or other problems, the seller is given a certain time to correct them. If this is not possible, the buyer can refuse the transaction and return the deposit paid. Buyer is advised to buy one-time insurance (Title Insurance) to protect against potential problems in the future. In many parts of the state of New York, an inspection of the facility is necessary before the final signing of the contract, and in New Jersey, for example, an inspection is carried out immediately after signing the contract. According to the results of the inspection, you can request to eliminate the shortcomings, lower the price or provide compensation in the form of a loan at the time of closing the transaction. If an agreement is not reached, the buyer in New Jersey has the right to refuse to complete the transaction without any penalty, and there will not even be a contract in the state of New York. In California, if during the inspection any flaws that did not satisfy the buyer were found, the contract may be canceled and the deposit returned. The buyer may also ask the seller to fix some problems or make a discount. The buyer has 10 days to carry out all inspections and inspections. If everything is in order, then the parties proceed to the following stages. 7. Obtaining condominium or cooperative permission (if required). In the process of buying in apartment buildings in New York, the buyer must obtain the approval of the Board (Board Approval) condominium or cooperative. In New Jersey condominiums, such approval is not required, but in co-ops it is necessary to go through this procedure. The buyer must provide personal and financial information, letters of recommendation, etc. Buyers will have to prepare in advance for such a procedure, otherwise it may significantly delay the conclusion of the transaction. Approval of the board of the cooperative is a strict procedure, which includes a personal interview. Moreover, many cooperatives simply do not admit non-residents to the United States. Getting approval from the condominium board is much easier. 8. Making a deal. The day before the conclusion of the transaction (Closing) or on the day of its conduct, it is recommended to once again conduct an inspection of the property for its condition and release. Next is the contract of sale (Real Estate Purchase Contract). At the time of signing the transaction the full amount of the purchase must be transferred to the deposit account of the lawyer of the buyer. In the case of a purchase with a mortgage, the lender also transfers the loan amount to a lawyer’s account. When signing a package of documents on a transaction, the lawyer of the buyer distributes the payments associated with the object and the conclusion of the transaction. 9. Transfer of ownership. 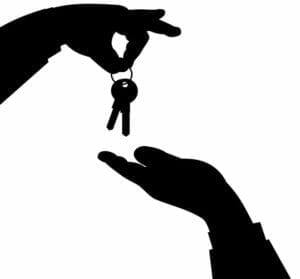 With the signing of the transfer of ownership (Deed), as a rule, the transfer of keys also occurs. Thus, most often at the time of sale the property is already fully vacated. After payment is received by a title company (or loan documents), the buyer receives a title deed. However, in many states, ownership is transferred to the buyer only after registration of this document with the district court. As a rule, the buyer will need to purchase special homeowner’s insurance. It may be necessary to make a certain payment (move-in fee), often consisting of two parts: security deposit – a refundable deposit paid in case of damage at the time of the move, and application fee – this amount is not refundable and is charged to the new owner’s registration. Apartment buildings often charge membership fees from each new apartment owner. These funds are most often sent to the reserve or repair funds (capital reserve / capital contribution). The amounts can be fixed or can be calculated based on the maintenance fee. This payment often has to be made at the time of closing the transaction. You need to carefully read the house schedule regarding entry and exit. In many homes, things can only be transported at certain times and days. Do not forget about the conclusion of contracts for utilities.